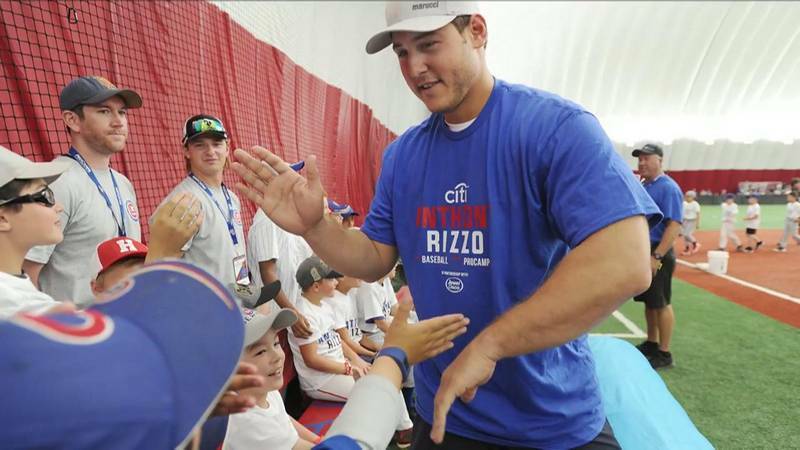 Chicago Cubs first baseman, Anthony Rizzo, hosted a youth baseball camp inside the Rosemont indoor sports dome, The Dome at the Ballpark, on Monday, July 31, where he gave tips to 350 boys and girls about the fundamentals of baseball. High school and college coaches ran various baseball skills inside the 140,000 square foot dome, assisting Rizzo with teaching the kids. The Rosemont dome is a multisport indoor facility, with turf, batting cages, and two baseball/softball diamonds.